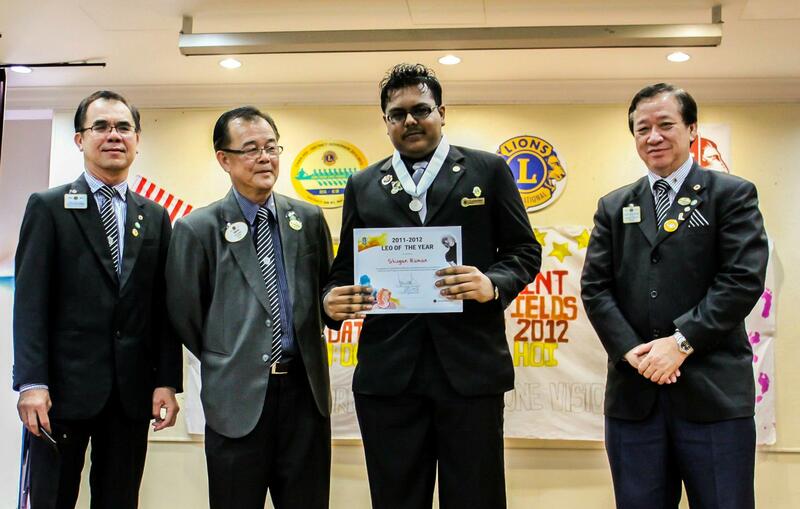 Law student Shugan Raman of INTI International University (INTI IU) has been presented the Leo of the Year Award by Lions Club International. He was one of 36 recipients of the award in the world for 2011-2012, one of 10 in Asia and the only one in South-East Asia. 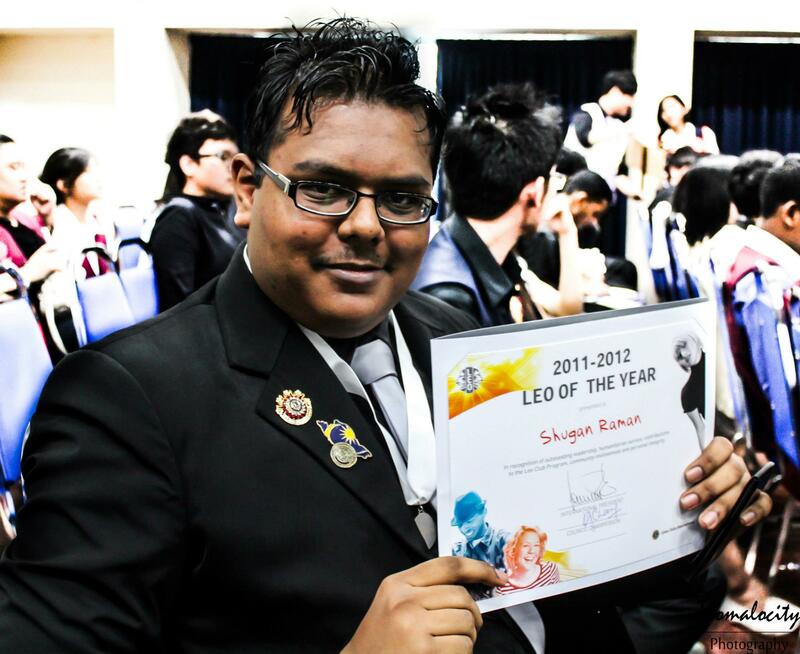 As the Immediate Past President of INTI IU’s Leo Club, Shugan was also presented the Leo Club Excellence Award for 2011-2012, the highest recognition bestowed on Leo clubs across nations by the world’s largest service organization with a presence in 202 countries. Today, INTI IU’s Leo Club is one of the largest clubs on campus with more than 240 members. During his tenure Shugan had demonstrated outstanding leadership skills; achieved a superior record as a Leo in implementing successful service projects; made an identifiable contribution to the development and growth of the Leo Club Program; achieved distinction in community or school activities outside of Leo club commitments; and demonstrated high ethical standards and personal integrity. “I was appointed to the club’s Board of Directors when I had only been a member for two months. Since then, I’ve organized and assisted in many projects that would uplift community life in Malaysia and abroad. One of the most memorable is the Segamat Flood Relief Fund to help high school students affected by the natural disaster. My international projects involved multiple countries and included forums and conventions on drug and alcohol abuse awareness and other pressing issues,” said Shugan. Shugan (2nd from right) with Chan Hoi, District Governor of Lions Club International District 308 B1 (2nd from left); Lau Teng Chye, 1st Vice District Governor (right); and Foo See Yow, District Chairperson LEO Clubs Development. From a young age, Shugan has been active in extra-curricular activities. Leadership has always been his passion and he believes in making positive contributions to society. “I would like to thank the management of INTI IU for its support through the years. The Student Services Department in particular has always supported us through the provision of resources and other forms of assistance. Without them, our achievements would not have been possible,” he said. Leo Club’s efforts to help those in need are continuous and include Charity Night to raise funds for selected charities or beneficiaries. This year’s focus was on promoting education among children living in rural areas in the country. Talents from among INTI’s students and staff as well as invited artistes gave rousing performances in song, dance, comedy and even poetry recital to successfully raise RM6,000 for Living Hope Malaysia which will channel the sum to a toy and book library for Orang Asli children of Kg. Gebok and Kg. Kedat in Mantin, Negeri Sembilan.